David Le/Salem News. 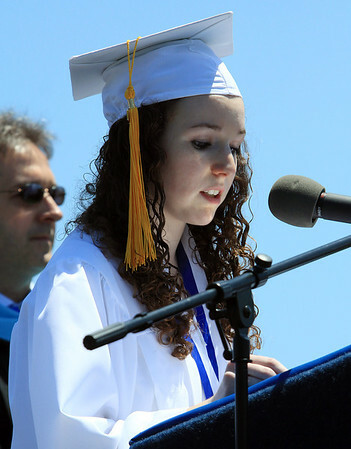 Swampscott High School senior treasurer Julie Locke, delivers the Invocation address to her classmates on Sunday afternoon. 6/5/11.